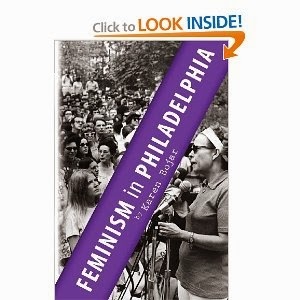 I have so enjoyed the opportunity to discuss Feminism in Philadelphia: The Glory Years, 1968-1982 with many of the wonderful women who were part of the story of second wave feminism in Philadelphia. In the early years, many Philadelphia NOW members were deeply suspicious of direct involvement in electoral politics. In the early and mid-1970’s, Philadelphia NOW dealt with the distrust many members had of political involvement by farming out electoral politics to the Philadelphia Women’s Political Caucus (PWPC) formed in 1971. Philadelphia NOW members were instrumental in the formation of PWPC but wanted to keep NOW itself unsullied by the messy compromises of electoral politics. Distrust of electoral politics was not confined to NOW members but was pervasive among the progressive movements in the late 1960’s and early 1970's. PWPC launched …a political education initiative designed to encourage more women to run for political office, including Party offices such as committeeperson and ward leader. The organizational genius behind the feminist political education effort was Florence Cohen who wore several hats; she was a member both of Philadelphia NOW and of PWPC and a group she led called the New Democratic Coalition. Florence Cohen organized a series of political education workshops sponsored by PWPC which dealt with the basics of the political structure in preparation for the 1972 primary election. According to Cohen, “We have to get a new type of woman--an independent woman--involved in politics.” In a handout she prepared on the political structure, she defined what she meant by an “independent,” someone motivated by issues rather than by political allegiances and loyalties. When Philadelphia NOW in 1998 and again in 2002 organized a series of workshops to encourage women to run for committeeperson, we thought we were doing something new and different. But unknown to us at the time, Florence Cohen had spearheaded a much more successful effort 3 decades earlier. We are launching this effort again in 2014. and with a dynamic speaker City Commissioner Stephanie Singer, we hope to be more successful than we were in the past. It was wonderful to have feminists featured in the book at the event, and in addition to Florence, Judy Mathe Foley and Sharon Wallis were in the audience. I was really happy to have finally met Sharon. 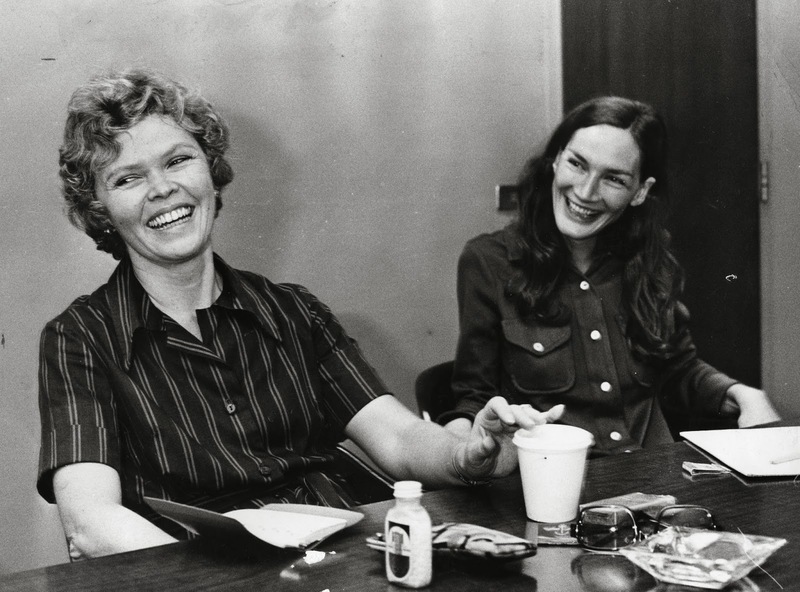 Jean Ferson, President of Philadelphia NOW and Sharon Wallis, President of Philadelphia Women's Political Caucus in 1971. Judy Mathe Foley arriving in Springfield Illinois for May 1976 ERA rally. Sharon confirmed that Judy was the organizational genius behind Philadelphia NOW and apparently the Philadelphia Women's Political Caucus as well. I am really happy to have had access to the archival material which demonstrated Judy’s crucial role behind the scenes and to have been able to document this. There is so much of the history of social changes organizations in Philadelphia (and elsewhere) that has yet to be documented---so many rich dissertation topics awaiting a new generation of young scholars. Let’s hope these histories are written! Also, for people who like to buy hard copies at book stores, there are some on the shelves at Giovanni’s Room in Center City Philadelphia.